We would like to say a huge thank you to Kiah Wilson and the very generous Struggletown veterinary hospital and Taronga wildlife hospital for their amazing donations. 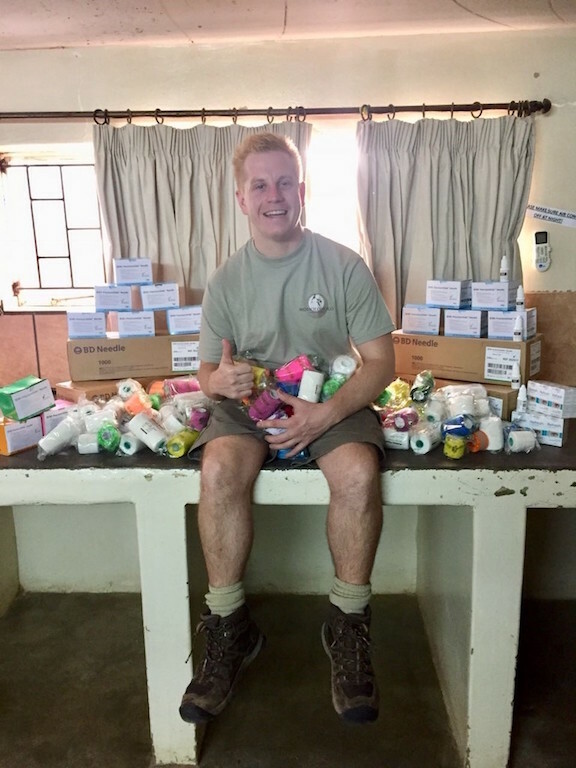 Kiah returned to volunteer at Moholoholo this month after his first visit to the centre last year, this time bringing lots of goodies all the way from Australia which the veterinary practices kindly contributed to the rehab! We are hugely grateful for these supplies, consisting of over 5000 needles, lots of bandages and much needed artificial tear drops. Caring for injured wildlife uses up a lot of medical materials. We treat and care for a huge variety of wildlife from birds to mammals of varying size and sometimes having to treat wounds multiple times a day means that we are forever grateful for wonderful donations such as these. Again, a huge thank you from all of the staff and animals at Moholoholo Wildlife Rehabilitation Centre!